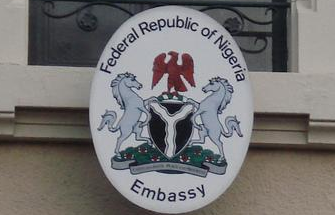 Nigeria’s Deputy Ambassador to Switzerland, Mr Bashir Musa, died on Tuesday April 23rd in Bern following a brief illness, according to the News Agency of Nigeria. He was 56. Bashir Musa was appointed ambassador in 2012, and had previously worked at the Nigerian High Commission in London. May his soul rest in peace...amen. Rip musa.at least you done chop enough. I think this Pastor's prophesy is coming to pass. Because the rate at these politicians is alarming. Rest in peace Mr Musa.